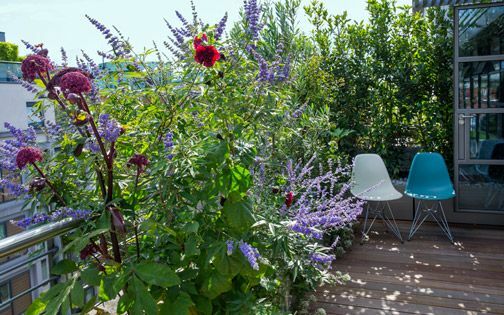 Bathed in blissful sunshine, this 75-square-metre Holborn rooftop celebrates native plants through the seasons, where modern design elements permeated with a wild ambience produce a thriving natural environment. 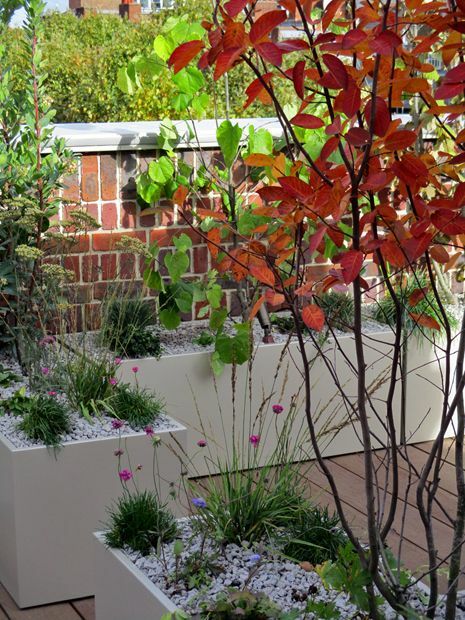 Resolute in their approach to wildlife preservation back home, in the South Australian outback, our clients continue to adore nature in this Central London apartment, albeit on the smaller scale of a natural roof garden. 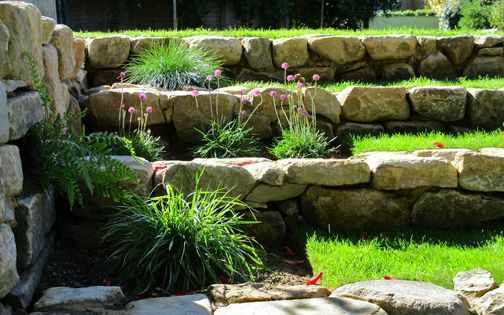 Tactile, immersive and notably ecological, the diversity of indigenous species alongside a handful of cognate floras enables a captivating range of distinct habitats, sustained naturalistically by organic cultivation and holistic maintenance. As the rooftop's main section is shaped as a wide rectangle, ten by five metres, we sought to draw together its far ends through dense clusters of vegetation, which in turn form discrete areas, gradually revealed. 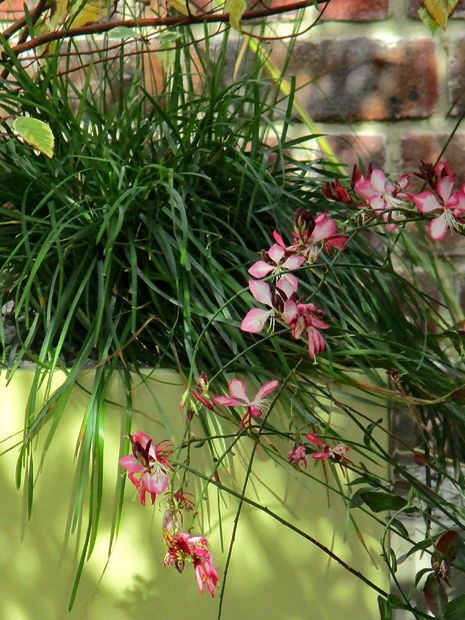 With several troughs and containers orthogonally arranged and asymmetrically placed, their dynamic patterns complement the natural compositions of native plants, concurrent with our clients' conservational approach to both flora and fauna in their NSW home. 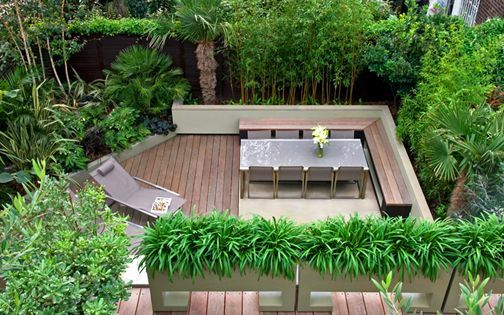 Situated atop the convergence of heavily congested residential and commercial inner-city districts, this native roof terrace sustains not only a sound ecological habitat and effortless natural beauty, but also, quite compellingly, the local wildlife – as an analogy of a densely forested landscape, however modestly pocket-sized. A wormery on a roof terrace... Who'd have thought? While squiggly annelids, mycorrhizas and soil microbes are mostly invisible and often taken for granted in terrestrial gardens, up on the rooftops, their inclusion boosts unnatural environments no end – particularly when creating a wild native habitat. Here, profuse clusters of sixty percent indigenous species, alongside naturalised and linked floras, articulate informality and apt conservationism which mitigate urban bleakness with natural allayment – focalising environmental grasp. 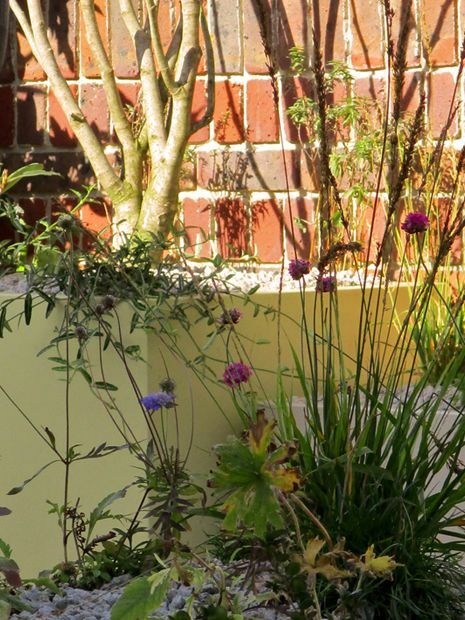 Richly scented, highly bacciferous, delectably nutritive, lusciously meadowy, multi-seasonal and thoroughly eco-friendly, this rooftop garden isn't only a place to entice longed-for critters, but also to fulfil the aspirations of owners who appreciate their significance! 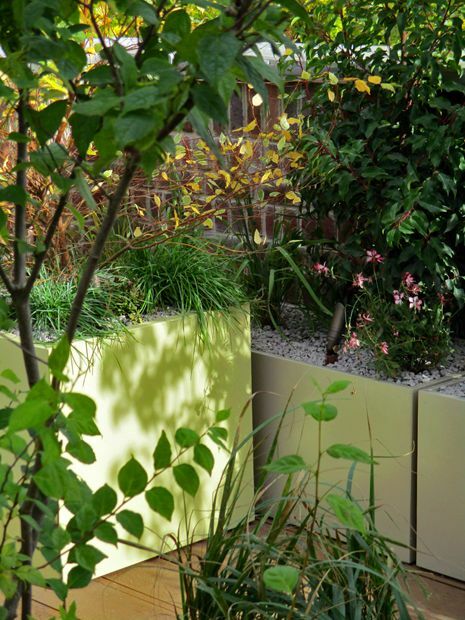 Take a look any place around Clerkenwell, Farringdon and Holborn, where in recent years modern apartment buildings have proliferated conspicuously, and the only meaningful biota is confined to miniscule pockets, primarily Camley Street Natural Park in nearby King's Cross. 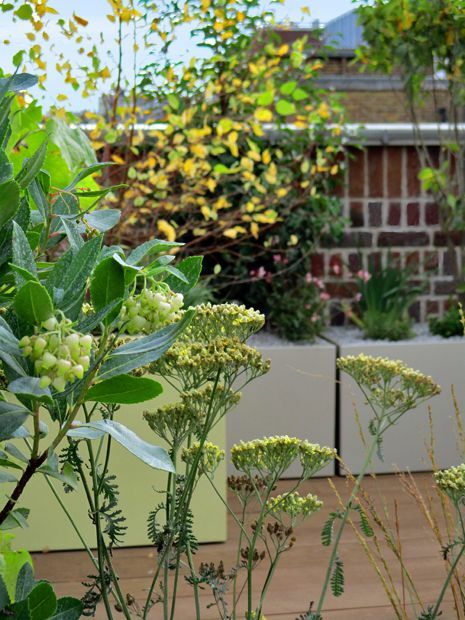 Granted, we've created more roof terrace designs in this locale than anywhere else in Greater London, yet with buildings fast rising higher, deficient in outside space, these residential rooftop gardens become rarer and smaller, gaining much of their wildlife activity from apiaries located on commercial city roofs – an undiversified, one-sided trade. 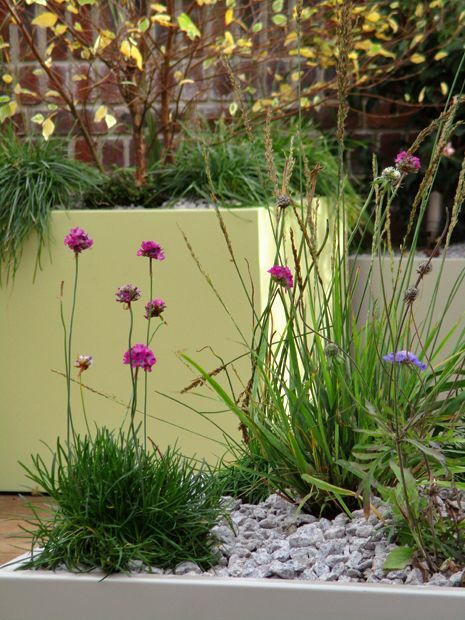 While our refuge greatly depends on integral ecosystems in wildlife and vegetation sanctuaries, the baffling absence of water supplies in countless brand-new rooftops in Central London, the rampant use of plastic decking and concrete pavers by developers, crippling planning restrictions, shortage of environmental infrastructure and sheer lack of recycling incentives all accumulate to lifeless and unsustainable architectures. 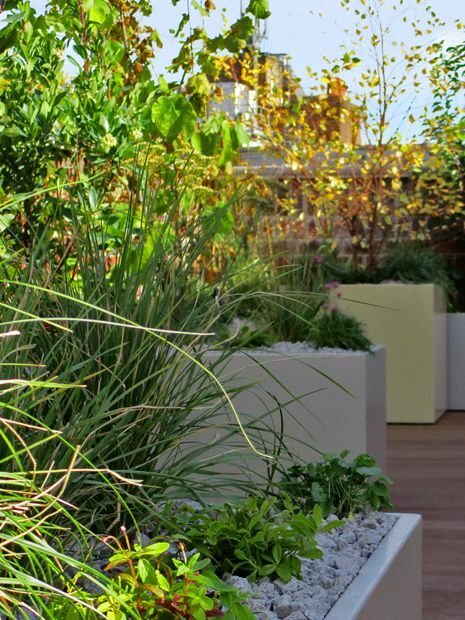 Here, once the vital water supply was plumbed in, the topmost task was to green up the roof terrace as much as possible to counterbalance the carbon footprint of a building devoid of natural materials, set in a landscape disconnected from nature altogether. Our clients' 150-acre homestead in New South Wales is a place of exceptional natural beauty; a noteworthy wildlife sanctuary, where Sir David Attenborough filmed the platypus in its native habitat for the BBC series ’The Life of Mammals’. Harmoniously, the thirty acres of gardens around the house focus on the conservation of indigenous flora, along creeks, across footbridges, through forests and lakes – a thriving nature reserve sensitively interlinked and well-frequented. 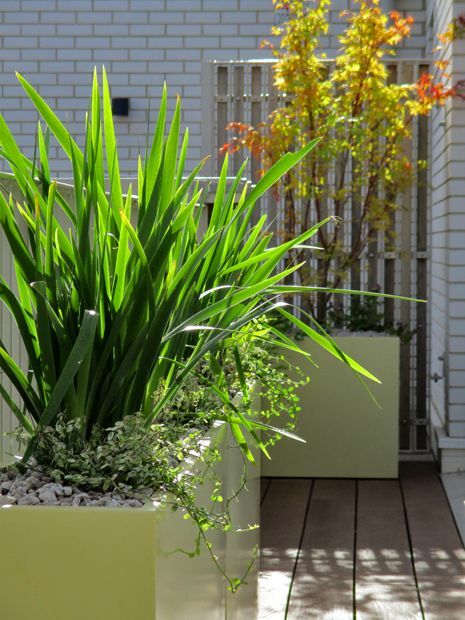 Having settled into a new apartment on the Holborn / Clerkenwell border with a sizeable roof terrace, the clients had invited us to create an inspiring, verdant and highly ecological rooftop garden. 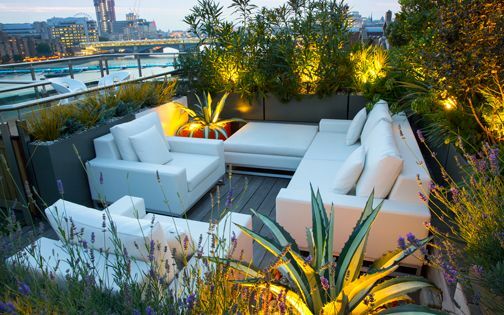 The arboreal locomotion of our clients' NSW nature reserve is aptly reimagined in their London rooftop, where diverse trees and shrubs comprise a third of plant species, swaying in the urban breeze under a Holborn skyline. While we prevalently seek to match distinct floras with clients' origins, and utilise numerous evergreen cultivars, here it seemed evidently superfluous, since the owners spend half the year back home. 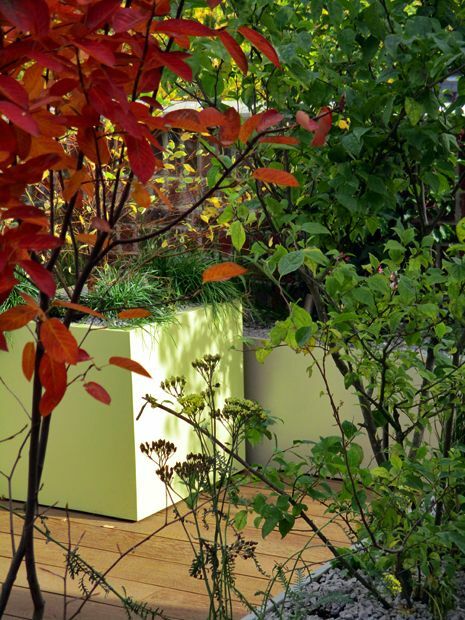 Opportunely, the myriad of deciduous plants, aglow with berries, abundant in autumn colour and perpetually gifting movement and sound, highlights and embraces the ever-changing seasons in all their glory, completed by tactile, scented drapes of cascading plants. 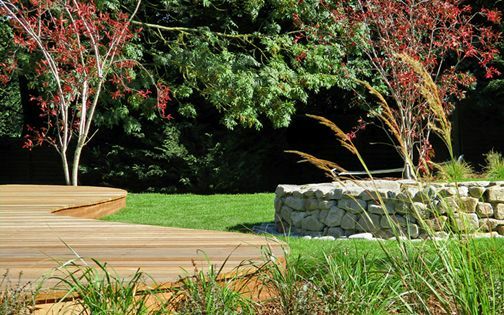 This keen arboreous approach generates not only spatially comforting enclosures which provide a grovy hideaway for the clients, but also a much-needed wildlife sanctuary for local bees, birds and butterflies. 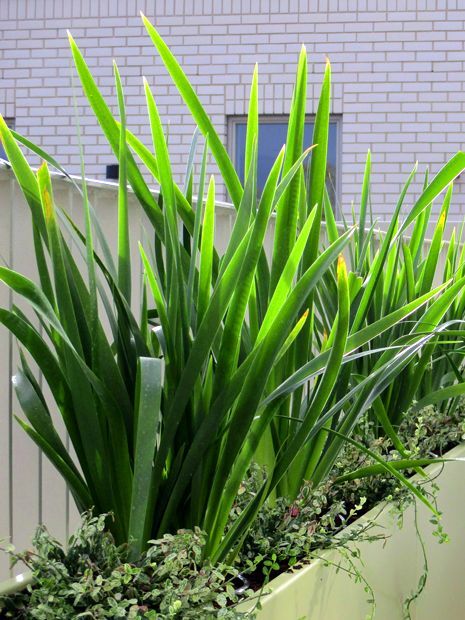 The suburban shrubberies sprawling south of Sydney, loathed by our clients, are replaced by natural spinneys, where the attractiveness of wild-looking plants takes centre stage wholeheartedly, aswarm with living things. While the available array of indigenous British shrubs is somewhat sparse, we've matched native Elder, Cinquefoil and Spindle with North American and East Asian woody shrub species to create a redolent, vigorous continuum of well-adapted bushiness and seasonal all-roundness. Butterfly bush, Corkscrew willow, Eastern redbud, Witch hazel, Russian almond, Summersweet and Spiketail bush all produce hearty clumps which also provide plentiful material for composting. 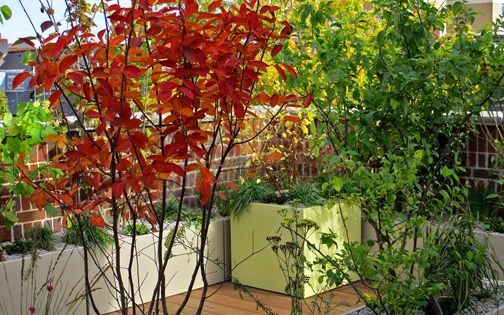 Achieving a continuous flowering season in any garden is indeed a challenging task, let alone in a roof terrace garden design. Here, a delicate colour spectrum encompasses many shades of pink, yellow, blue and white in natural tones, accentuated by dramatic red, orange and black berries. From the deliciously fragrant Hamamelis in January, through early spring flowering Amelanchier, Cercis and Stachyurus, to Fritillaria, Campanula, Geranium and Viola in mid-spring, the scene is enticingly set for an aestival celebration teeming with constant colour via dainty native wildflowers and perennials. 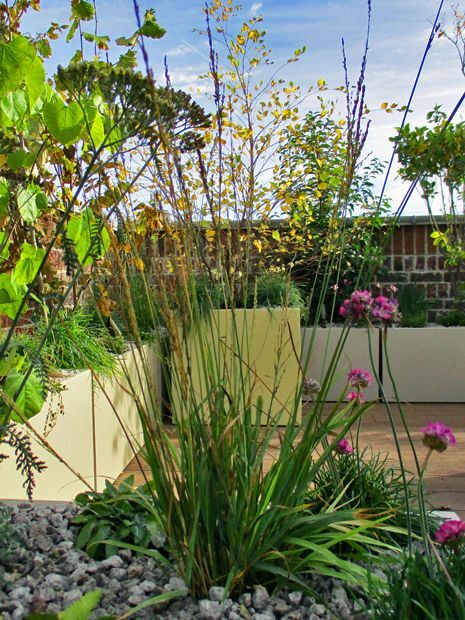 With thirty ornamental grasses signifying a serotinal transition into autumn, providing crisp upright tawny slenderness, this rooftops' non-stop blooming season unwinds into wintertime, when coloured stems, bright seed capsules, repeat inflorescences and variegated trailing foliage extend interest. What can be better than cooking alfresco with home-grown organic edibles? Local gastronomy is all about native produce, its uniqueness and freshness, delivering piquancy in both flavour, contentment and well-being. 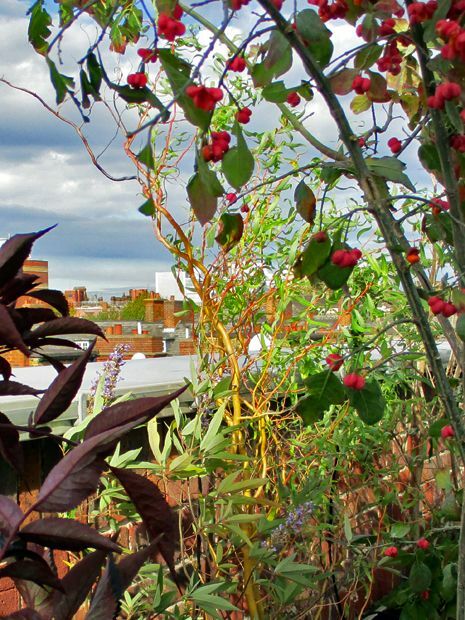 Food eclecticism is invariably a ubiquitous aspect in many London roof terraces, where a temperate climate enables cultivation of diverse floras, bound by urban multiculturalism. 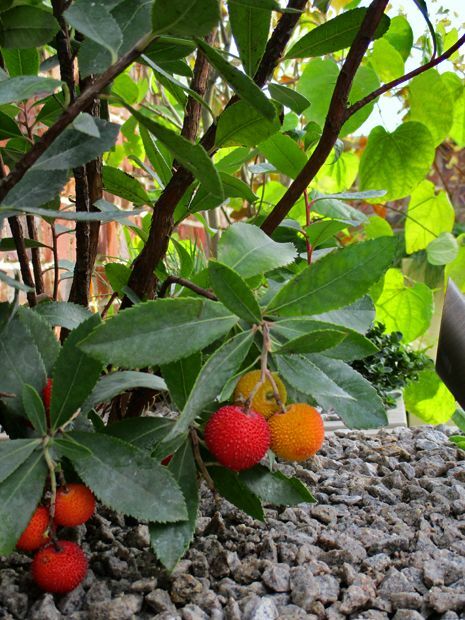 Here, in Holborn, ornamental cultivars supply an enticing range of fruits, culinary herbs and nuts, with native Wild chives, Marjoram and Thyme, along Winter savory and prostrate Rosemary, grown below indigenous Elderberry, Hazelnut and Strawberry trees – and there's a Loquat ‘Coppertone’ from East Asia too, providing useful winter greenness. Native Wood betony, Cowslip, Primrose, Viola and Purple loosestrife broaden the edibility factors, while sustaining a nectar-rich haven for insects. 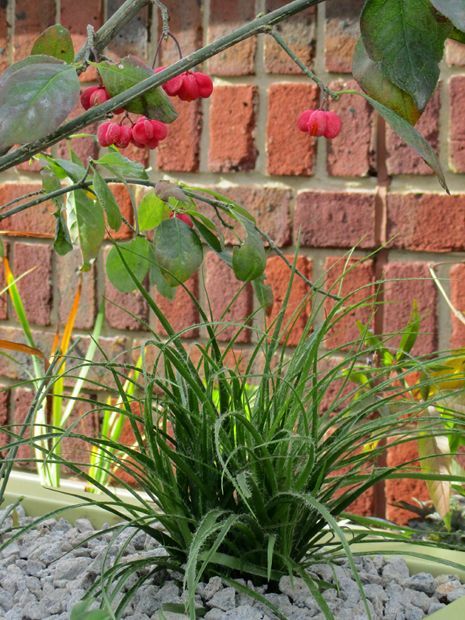 Ten ornamental grass species energise the terrace throughout the year, contributing indispensable textural wispiness in both tufted outlines and vertical spikelets. 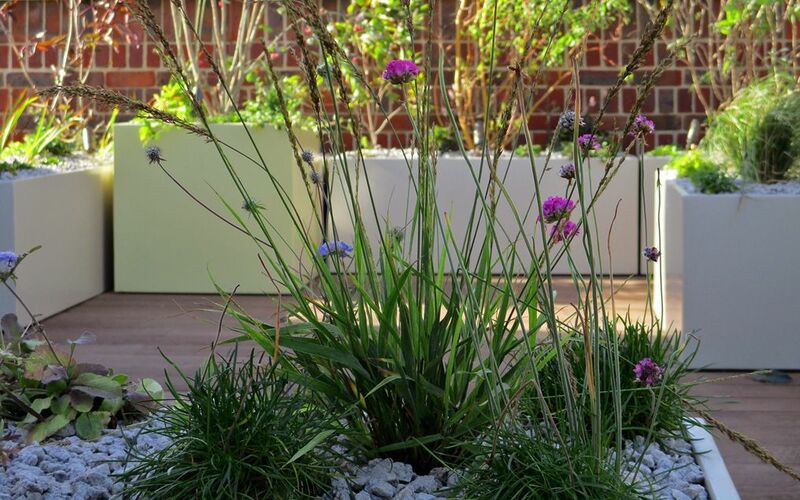 With half the grasses native and the remainder European, the range of floret colours, varying heights and diversity of leaf blades is truly dynamic. 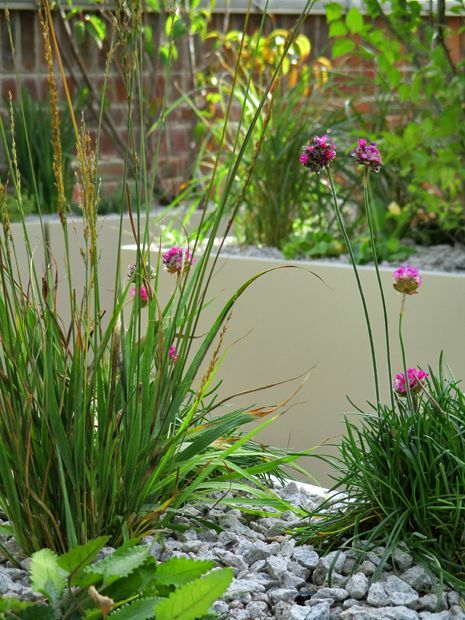 Feather reed, Tufted hair, Blue hair and Purple moor grasses, with the white-flowering snowy wood-rush, all tie in the planting design cohesively, interlinking in natural drifts across a multilayered scheme. 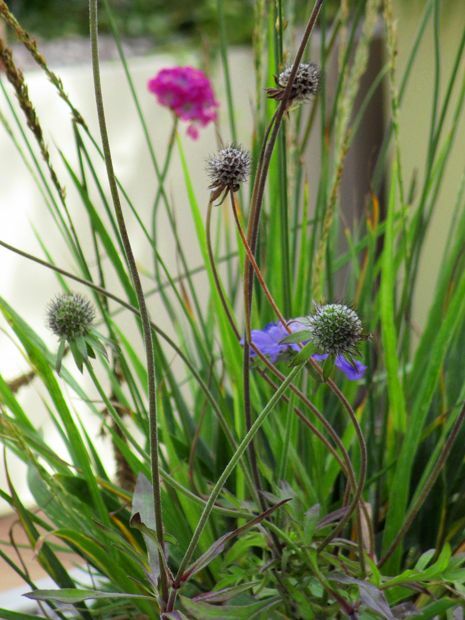 As the day arc traverses behind the apartment, backlighting the terrace in the mornings and evenings, the distinct British native habitats of grassland, moorland and woodland coalesce in the soothing sway of glowing grasses. 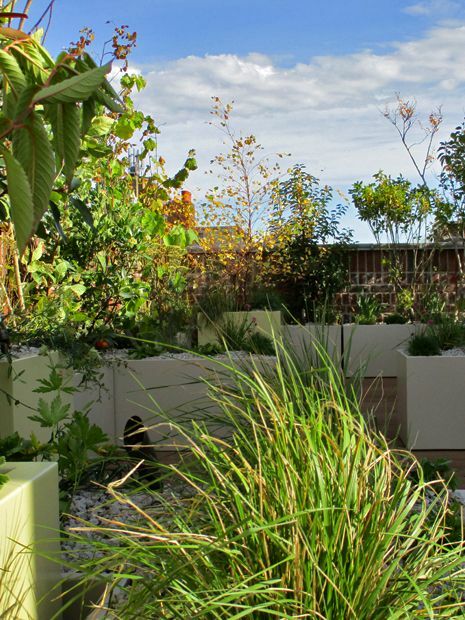 Proclaiming nature in all its brilliance and cyclicality, this rooftop garden expresses a pertinent rationale of ecological philosophy and affinity with wildlife, juxtaposing native and introduced plant species dynamically in a contemporary setting. 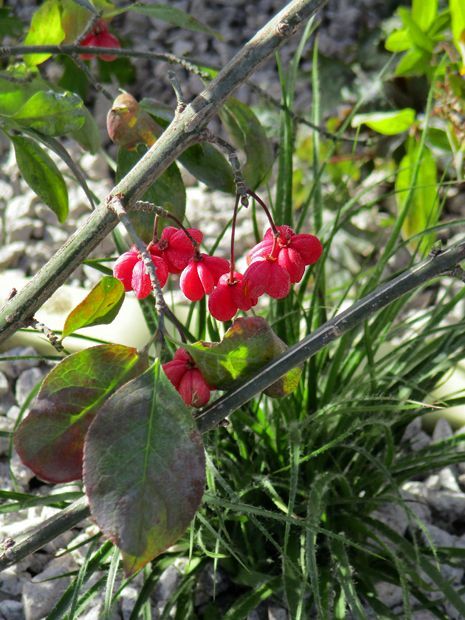 Impelled by proactive clients and established during autumn, the planting design communicates raw vitality which anchors natural cycles, highlighting the complexity, fragility, timelessness, diversity and essentiality of plant life. 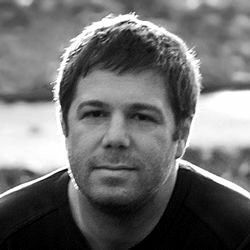 With environmental impact increasingly altering our lives and the crucial ecosystems which we're dependent on, this insightful journey into intimate, tangible environmentalism isn't only a poetic gesture to the beauty and romance of wild gardens in an urban context, but also, contiguously, an act of reconciliation towards effective biodiversity.